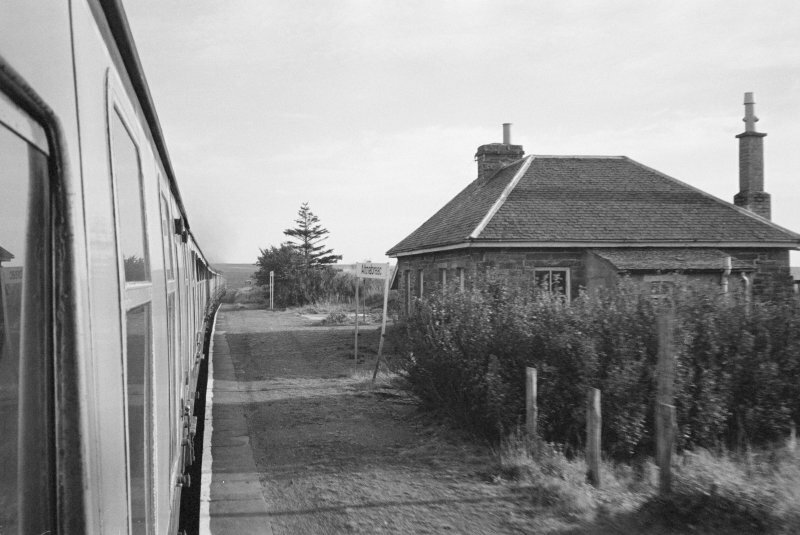 After Corrour (NN36NE 1), probably the most inaccessible station on the Scottish network, this intermediate station on the Inverness - Wick and Thurso ('Far North') line of the former Highland Rly was opened by the Sutherland and Caithness Rly on 28 July 1874. It remains in regular use by passenger traffic, as an unstaffed halt. The plain but elegant station buildings originally cost #569 but were derelict by the early 1980's, when the adjacent hotel also closed. The ruined water tower still stands. Information from RCAHMS (RJCM), 14 June 2001.